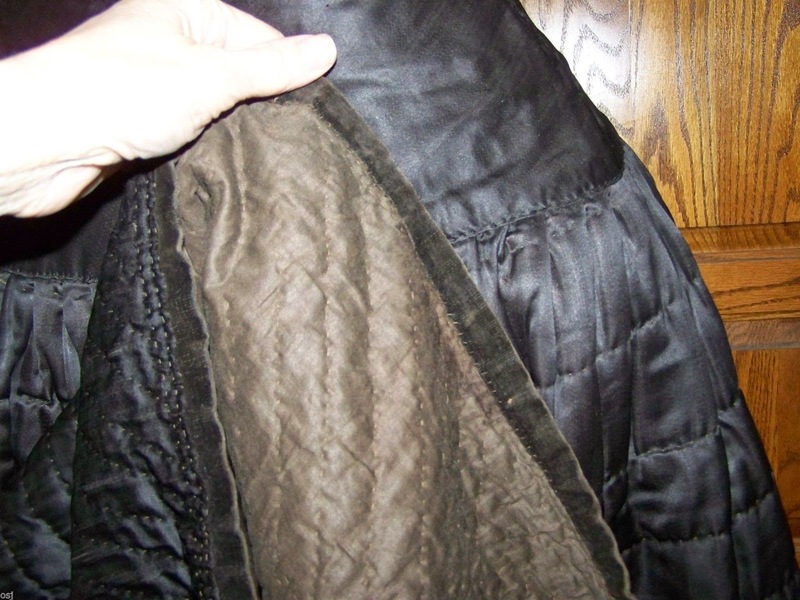 This is an impressive example of a Victorian woman's winter petticoat and dates into the 1800's. 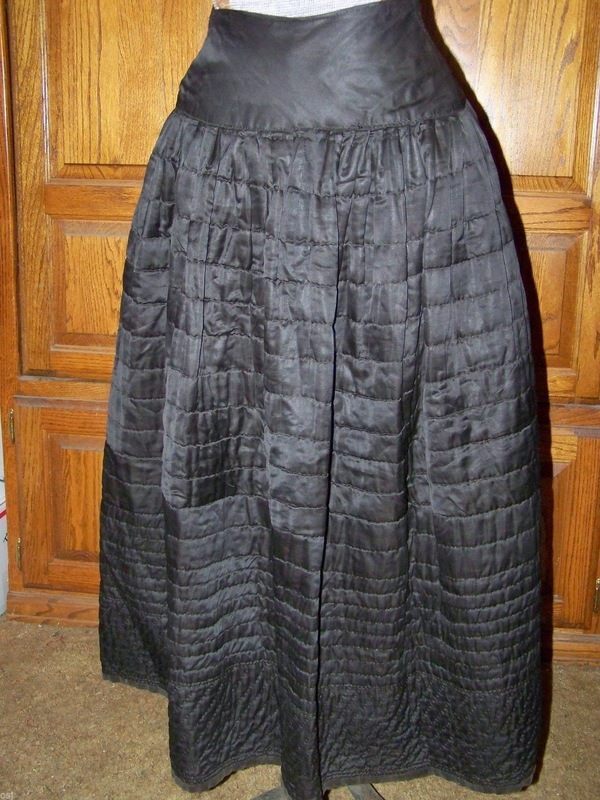 This early Victorian era black silk quilted petticoat skirt has a 25 inch waist, 38 inches in length, and has a hem sweep of 109 inches. It is fully lined, all hand stitched and lightly batted. The exterior is constructed of a rich black silk fabric. The 5 inches deep waist / hip band is lined with brown cotton. 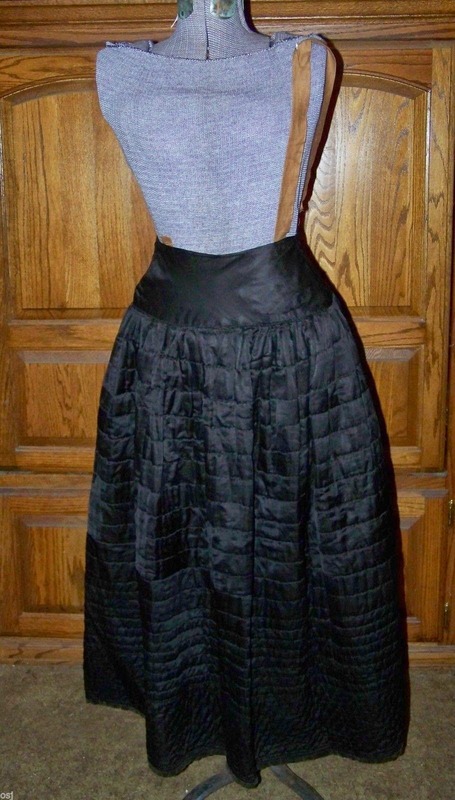 The balance of the skirt lining is a black cotton. 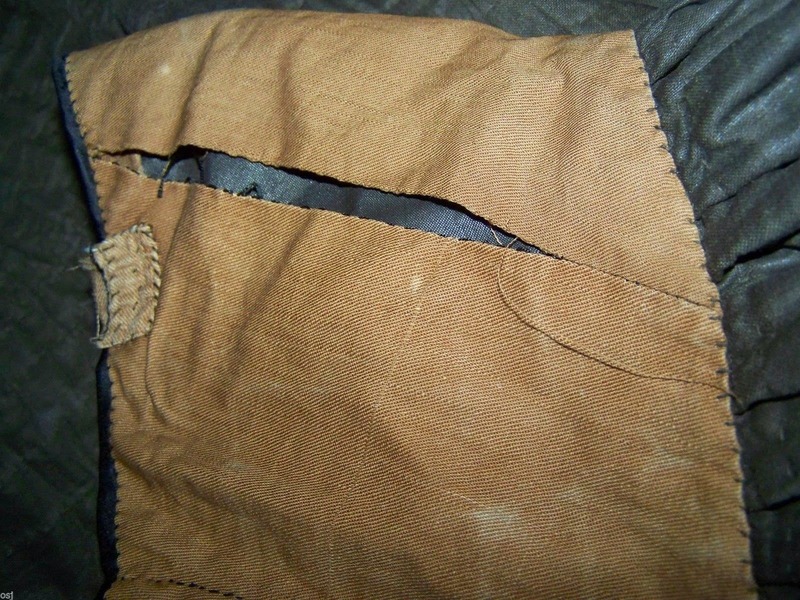 The brown cotton was also used for two support straps. Of the two original straps, only one remains. The strap is 26 inches long. Three hooks and eyes were used for the closure. 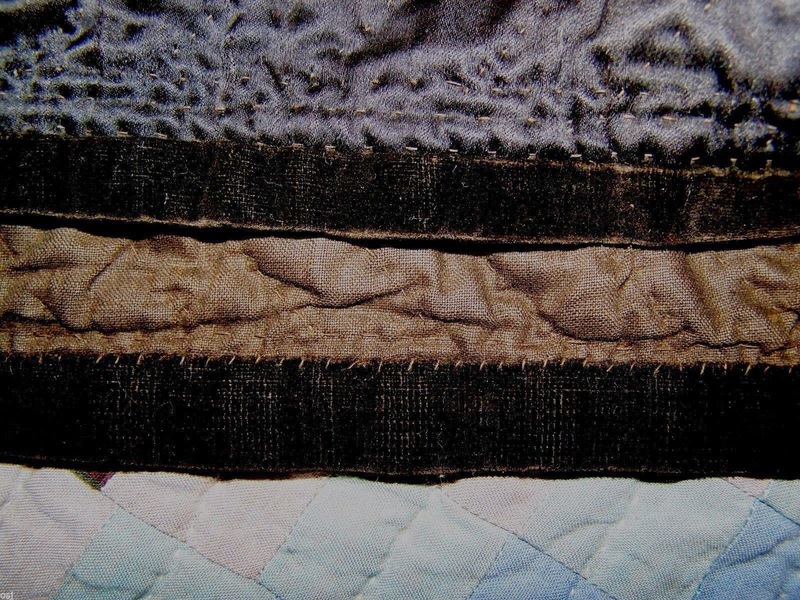 The quilting is quite lovely. Below the deep waist band horizontal quilting extends 27 inches. At this point, diagonal stitches extend in 6 inch band. The hem is finished with what I think is black velvet which shows slight wear. 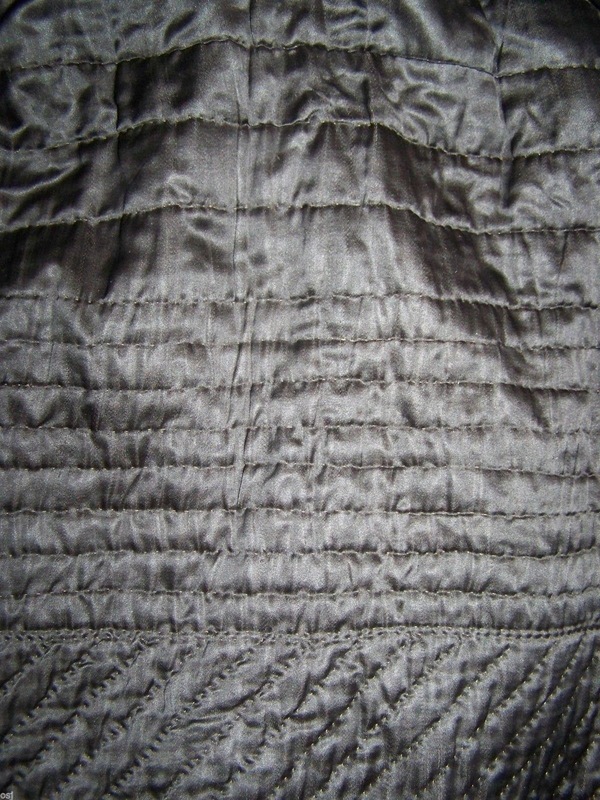 This is a wonderful American early example of a 19th century hand quilted petticoat. The petticoat is in very good, clean, and basically sound condition. I found no tears in the silk or cotton. The skirt has few, if any age spots or pin dot holes. There are only two issues I find worth mentioning. 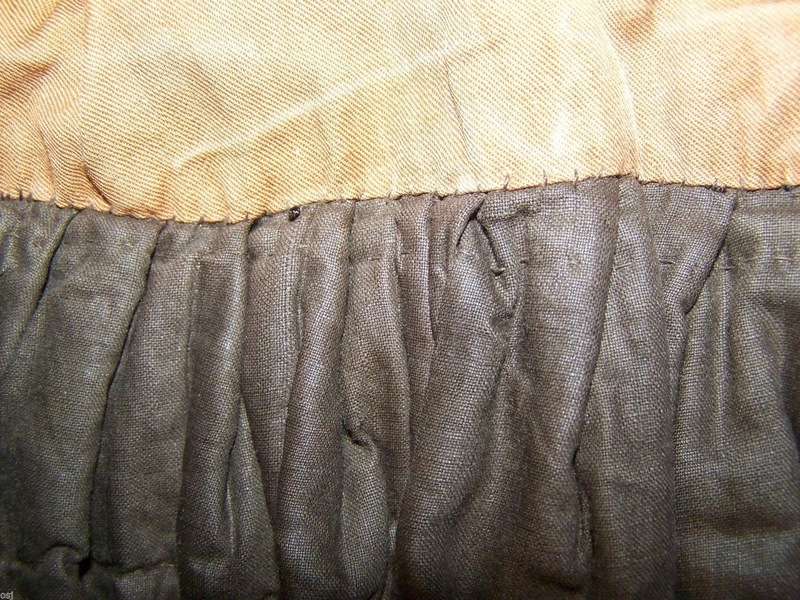 One is a seam in the waist lining has loosened - the thread remains for your repair if desired. (Please see last photo). The other is the loss of the support strap at the waist. It still has it's straps!!! My guess on this one - it's always hard with the quilted petticoats since they didn't change much- is 1830's. The entire thing is hand sewn (ow!) 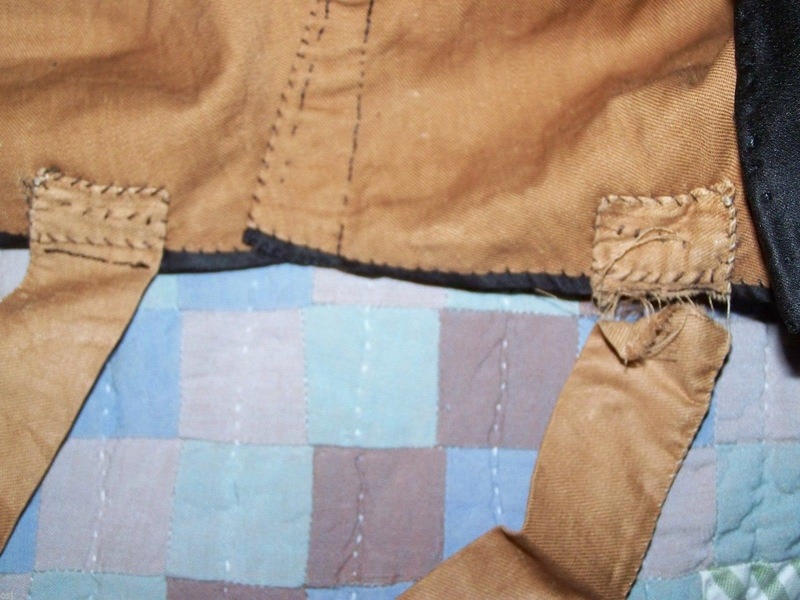 and the straps on a petticoat generally mean an earlier 19th century date. Do you know why these earlier ones had straps? My logic is saying these weren't worn at the exact waist and needed these to keep in place but I don't know. My guess is partly due to the weight (those things are heavy and it reduces the weight on the hips) but also because it's the way petticoats were done when they were at the underbust line (so they wouldn't ride down). 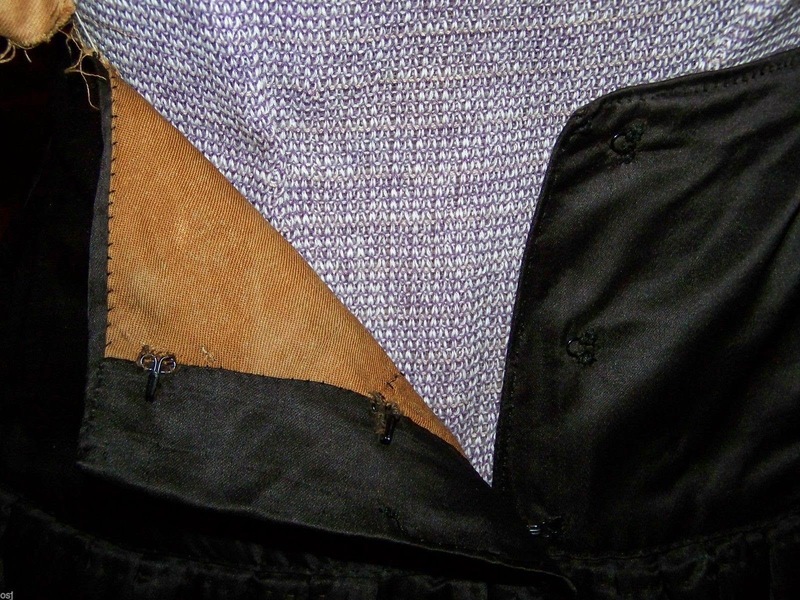 I also think it might have been because having a snap/button/single tie petticoat at the waistline was "new again" after having mostly ties at the sides (or front and back) just a couple of generations earlier. They weren't sure the petticoat would stay put. All good points and that makes sense. Thank you.